Ford’s global best selling car is the Fiesta. Find out how much more fun the performance ST version is. When the Ford Global Performance Vehicle Group pulled both the European RS and the US SVT teams together, they delivered one of the most fun and affordable performance car we’ve driven in a while. The new Ford Fiesta ST is a spicy little car for the performance enthusiast on a budget. Using Ford’s high-output EcoBoost mated to a six-speed manual gearbox, the European suspensions keep their edges on our US soil. The driving dynamics of this car made us smile, even in traffic conditions with its three driving modes, Standards, Sports and OFF, the AdvanceTrac ESC. The 1.6 Sigma I-4 engine uses a 10:1 compression, 4V Ti-VCT (variable valve timing) with a turbo for 197 HP and 202 lb.ft. of torque. 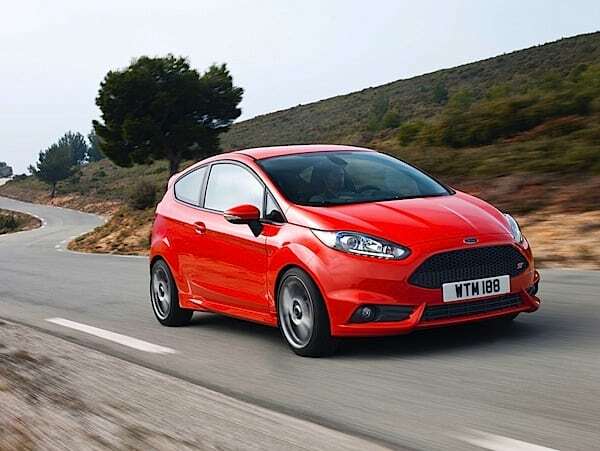 The Fiesta ST accepts 87 gasoline, although it prefers higher octane, which gives it better fuel mileage and power. Its tuned air induction, hi-flow exhaust, gives it a 0 to 60 MPH in 6.9 seconds, with a top speed of 137 MPH. The Fiesta is easy on gasoline, 26 MPG city and 35 MPG highway. The springs dampers with stiffer twist beams, a lower 15mm ride, and an optimized front knuckle geometry makes this car fun to throw into turns. The camber was also tweaked for better handling with a quicker steering ratio. We were worried the electric steering would feel numb, but were told it was especially calibrated for the ST. We found it gave was enough feedback at low speeds and became somewhat lighter at higher speeds. The larger front brakes, are boosted by a tandem brake master, and the brake pads were selected for resistance, performance and feel. According to Jamal Hameedi Chief Engineer, Global Performance vehicles, this is Ford’s second global performance car. After the Focus ST success, it was time to treat the Fiesta to an ST badge. When both teams combined their efforts, the Ford became a multi-continent performance car maker with the Fiesta ST. The idea was to “…create excitement and value for the Ford brand with an inspired and profitable product lineup for performance enthusiasts.” And after our spirited test drive in the Malibu Canyons, we can safely say that Ford delivers on all fronts. European Performance in the US. We always wondered why we have small Japanese performance cars in the US, but no Europeans? Ford heard us and delivered the performance Focus ST, and now a Fiesta ST. Both cars are not dumbed down and watered down for the domestic market, as often we get. The twin exhaust offers a great roar, often missing on turbo engines. We particularly enjoyed the extra thumb surface on the steering wheel. The Ford Fiesta ST Test Drive. We had a fun time taking the Fiesta ST through its paces. The car felt equally at ease in traffic conditions, on twisty canyon roads or on open fast lanes. We particularly liked accelerating early out of corners and feeling the weight shifting for better handling. 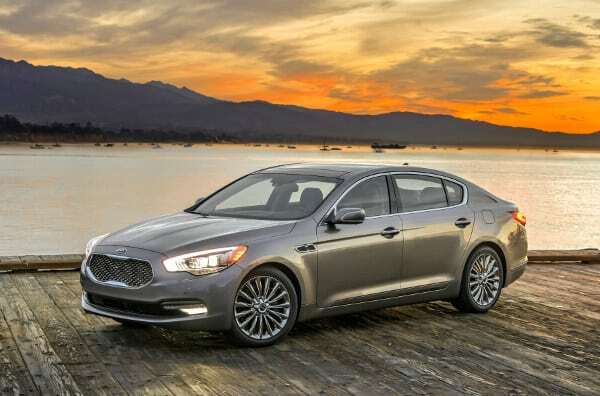 This is clearly a very fun car many will appreciate for its versatility and affordability. What’s To Like About The Ford Fiesta ST.
We liked the ESC ON; which prevents a loss of control at all times on the Fiesta ST. What we liked even more was the ESC Wide Slip; which only intervenes once the car starts to let go, giving you a better idea what to expect. This is a great feature we would like other manufacturers adopt. Accelerating early out of corners gave us a little fun oversteer, completely controlled by the car with its active torque vectoring control (TVC), which reduces any understeer. For such a small car, the Fiesta ST felt poised whether cornering in fast turns or slow hairpins. It always provided a fun and enthusiastic ride that was not brutal or punishing. 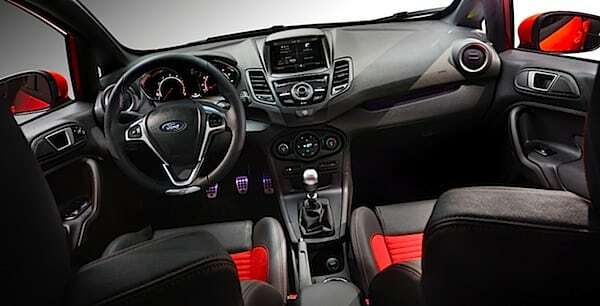 The Ford Fiesta ST achieves many things, performance, good fuel mileage, fun drive, enough room at an affordable price. Congratulations Ford on the Fiesta ST.